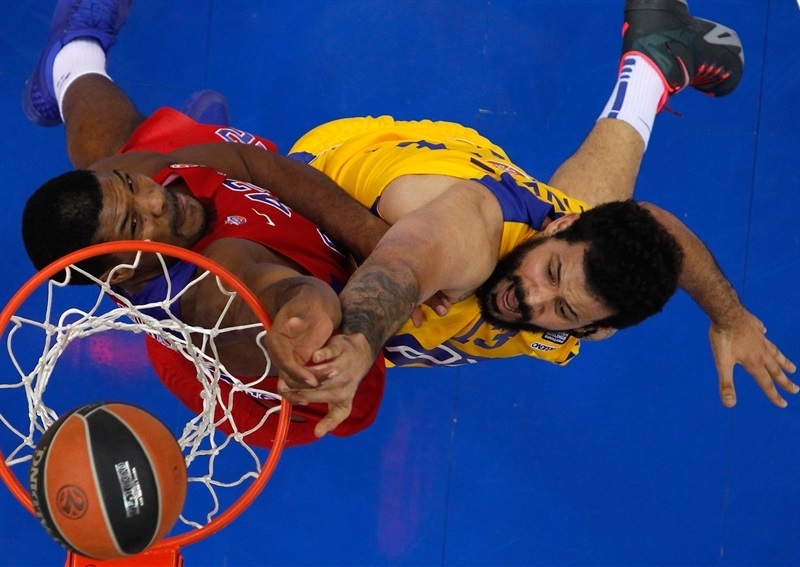 CSKA Moscow sent a message that echoed all around the Euroleague by downing Maccabi FOX Tel Aviv 100-69 in the Russian capital on Thursday. 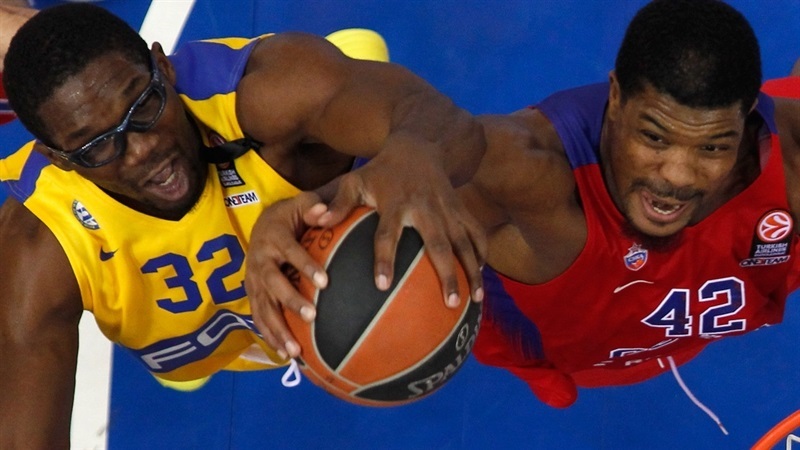 CSKA opened Group D in style, getting its second biggest home win against Maccabi - CSKA registered a 100-65 home win against the Israeli powerhouse in the 2013-14 season. Nando De Colo led the winners with 17 points, Milos Teodosic added 15, Aaron Jackson had 12 and 7 assists, Vitaly Fridzon contributed 11 and Demetris Nichols scored 10 for CSKA. Jordan Farmar led Maccabi with 17 points, Taylor Rochestie added 14 while Yogev Ohayon had 13 for the guests. An outstanding Farmar and a three-pointer by Ohayon gave Maccabi an early 11-14 lead. Teodosic and Jackson stepped up to give CSKA a 29-20 lead after 10 minutes. CSKA held Maccabi scoreless for more than six minutes, while an outstanding Teodosic gave the hosts a 44-29 margin at halftime. De Colo took over after the break and a buzzer-beating jumper by Fridzon made it a 25-point game through three quarters, enough to seal the outcome. A moment of silence was held before the start of the third quarter to honor the late Nate Huffman, who passed away earlier in the day. Maccabi wore black ribbons in his memory. De Colo got CSKA going with a three-pointer, but Farmar quickly answered from downtown. 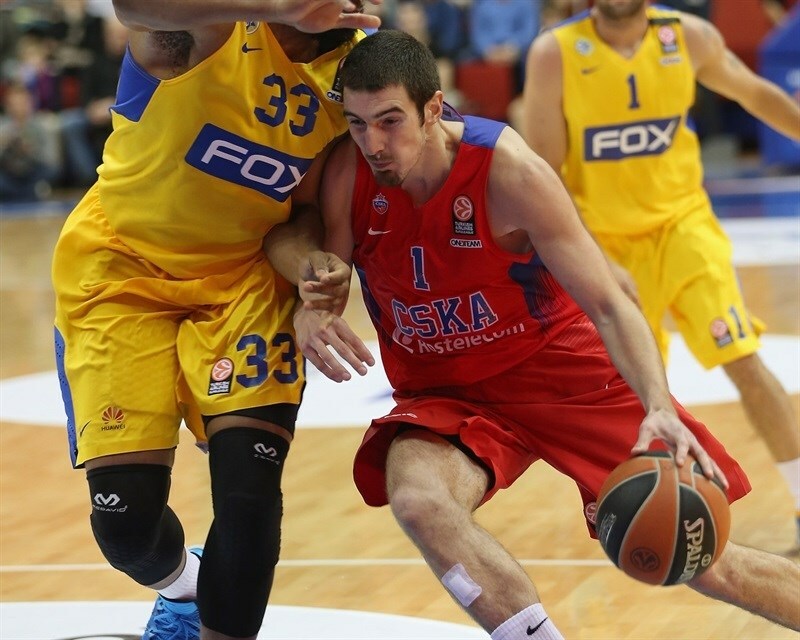 De Colo kept pushing CSKA with a wild driving basket, which Ohayon erased with a five-meter jumper. 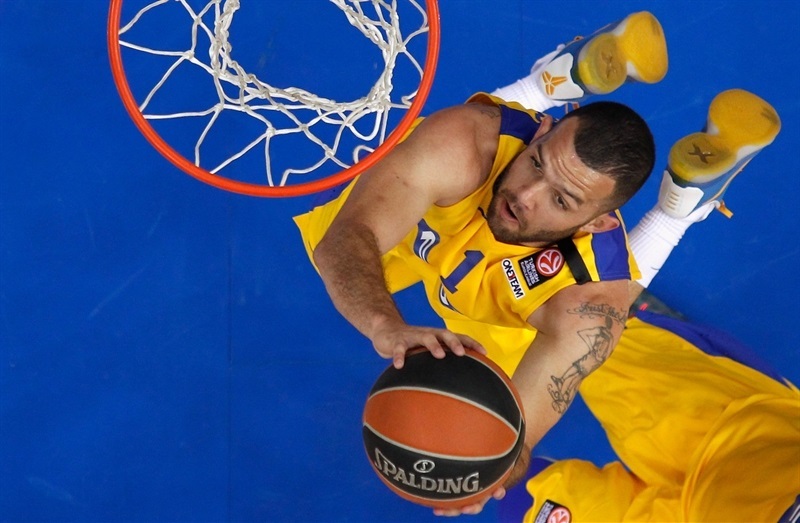 A layup by Farmar soon gave Maccabi its first lead, 5-7. Jackson made free throws, but Trevor Mbakwe erased them with a put-back basket. After De Colo shined with a reverse layup, Vitor Faverani hit a jump hook. Jackson tied it at 11-11. Ohayon took over with a corner triple, but an unstoppable De Colo scored again. Arinze Onuaku hit a jump hook off an offensive rebound, but a dunk by Kyle Hines and free throws by Teodosic put CSKA back ahead, 17-16. Nichols found space for a wide open triple that caused Maccabi to call timeout at 20-16. Farmar nailed a jumper off a screen, which Cory Higgins matched at the other end. Dragan Bender scored in penetration, but Teodosic did better with a three-pointer. Jackson took over with a layup off a midcourt steal and a layup by Teodosic boosted the hosts' lead to 29-20 after 10 minutes. A free throw by Nichols gave CSKA its first double-digit lead, 30-20, early in the quarter. Maccabi tried to circulate the ball a bit better, but shots did not fall in. An outstanding driving layup by Jackson caused the guests to stop the game at 32-20. 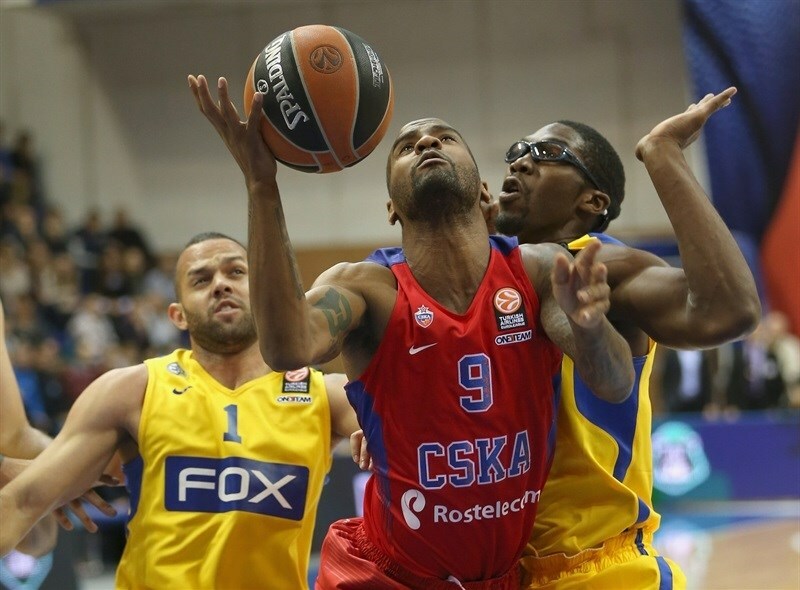 Maccabi had been held scoreless for more than six minutes and kept struggling against CSKA's outstanding defense. A mid-range jumper by Teodosic made it a 14-point game. Taylor Rochestie rescued Maccabi with a baseline jumper, but Andrey Vorontsevich did better with a catch-and-shoot three-pointer for a 37-22 CSKA lead. 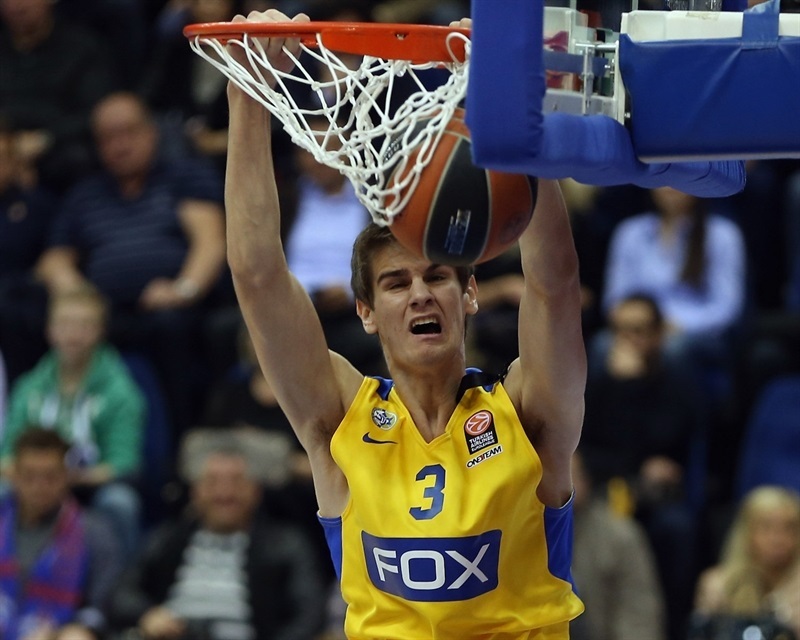 Bender dunked and a high-flying alley-oop layup by Farmar gave Maccabi hope at 37-26. Teodosic sank a mid-range jumper off the dribble, Faverani split free throws and another triple by Vorontsevich broke the game open at 42-27. A layup by Bender and free throws by Teodosic fixed the halftime score at 44-29. Hines shined with a big put-back basket right after the break. 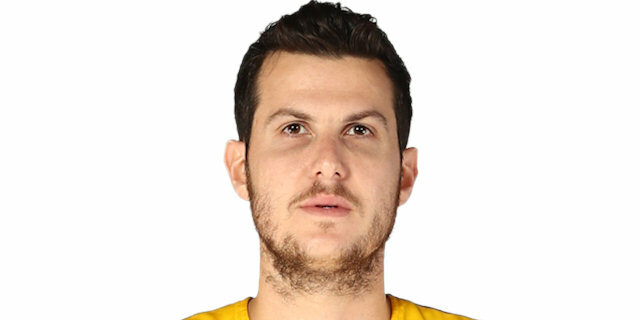 Rochestie found Farmar for a three-pointer and soon hit one from beyond the arc to get Maccabi within 46-35. Teodosic hit a one-handed floater in transition, which Farmar bettered with another triple. 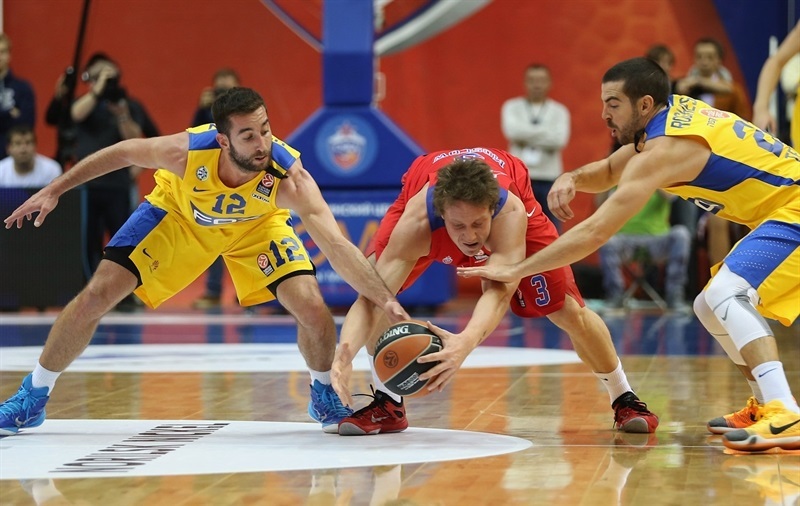 De Colo made free throws and a corner three-pointer by Vorontsevich kept CSKA way ahead, 53-38. 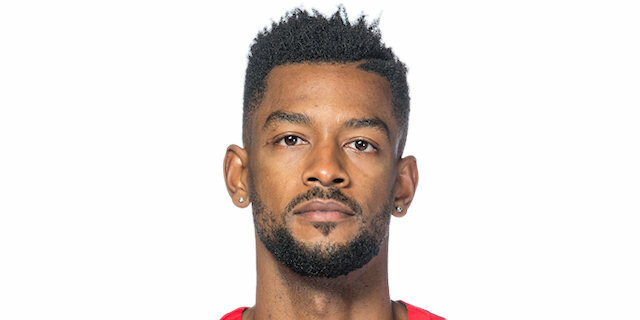 Rochestie kept pacing Maccabi with a one-handed jumper in the lane, but a backdoor layup by De Colo and a two-handed dunk by Hines gave CSKA a 57-40 margin. De Colo scored in penetration and matched Rochestie's five-meter jumper with an easy basket. Ohayon sank a five-meter shot and a three-point play by Higgins gave CSKA its first 20-point lead, 64-44. Jackson and Farmar traded free throws and a three-pointer by Fridzon seemed to seal the outcome, 69-46. Pavel Korobkov scored down low and a buzzer-beating jumper by Fridzon restored a 73-48 CSKA lead. Ohayon hit free throws early in the quarter, but Nichols bettered that with an off-balance three-point play. Guy Pnini answered from downtown, but Jackson also joined the three-point shootout. Farmar finished a great Maccabi offense with a three-pointer, but Fridzon and Nikita Kurbanov boosted the hosts' lead to 82-56. 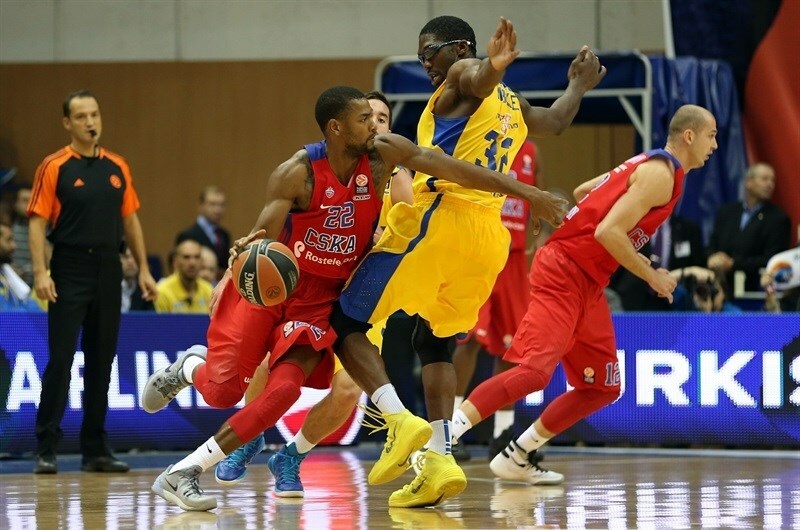 The outcome was clear, but CSKA stayed focused on defense. 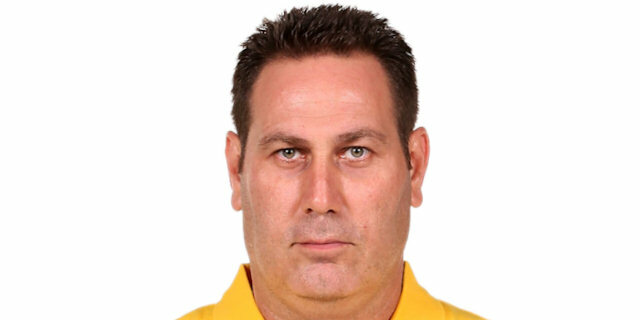 Nichols hit free throws and dunked off a midcourt steal to force Maccabi to call timeout at 85-56. Rochestie stepped up with a five-meter jumper and after Slava Kravtsov dunked in traffic, back-to-back baskets by Ohayon got Maccabi within 87-62. 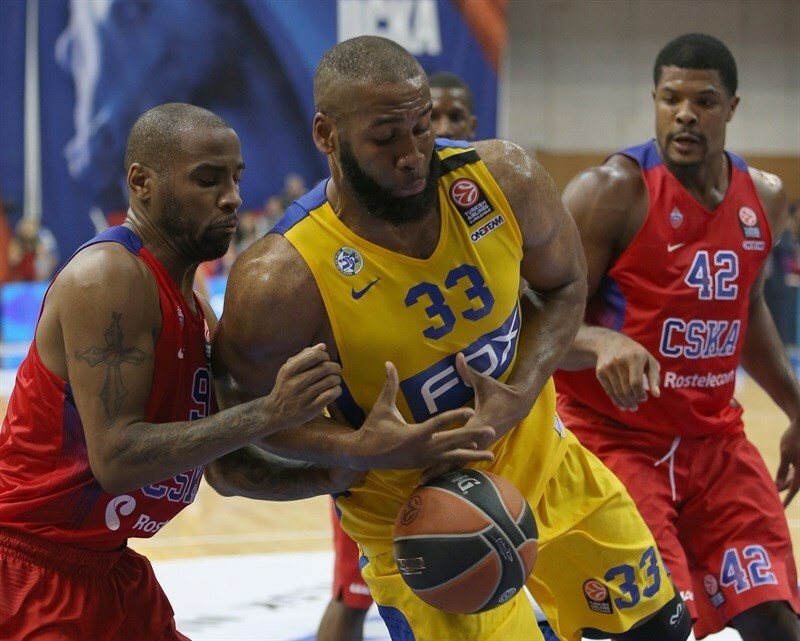 Maccabi kept trying, but everything was said and done already, as CSKA had cruised to an impressive and well-deserved win. "I think you saw that our team dominated on the floor tonight, and I’d like to congratulate my players for that. I liked the pace we had, the tone which was picked up off defense. I liked how we played on the glass, we had 16 rebounds offensively taking almost the same number as Maccabi (19). Talking about the rebounding battle, I can dig even deeper to the stats and mention 8 team rebounds – that says how the players boxed out and dived for the balls. We understand that Maccabi missed such an important player like Randle, but we still played a very good game. I said to the team that we have to turn the page and play even better because we did not reach our peak yet. I’d like also to express my deepest condolences to the family of Nate Huffman who passed away today." It was not a good game by us. We were weak already in the beginning and not too sharp. For every small mistake, we were punished by CSKA. We let them make almost 70% of their two-point shots. That’s inconceivable. On offense we didn’t move the ball and we didn’t get to good shots. And even when we had good shots, the ball didn’t go in. And we were a catastrophe from the foul line. It was a very painful loss. But we look forward and we’ll correct the mistakes. "It’s the first Euroleague game for me. Our team was well-prepared and it was another day of basketball. I have played all my life, so there was no reason to be nervous. We came out today really focused and it was a tough game, but with our defense we stopped them."